March 21, 2012 March 21, 2012 needswagLeave a Comment on Lime Green is HOT! 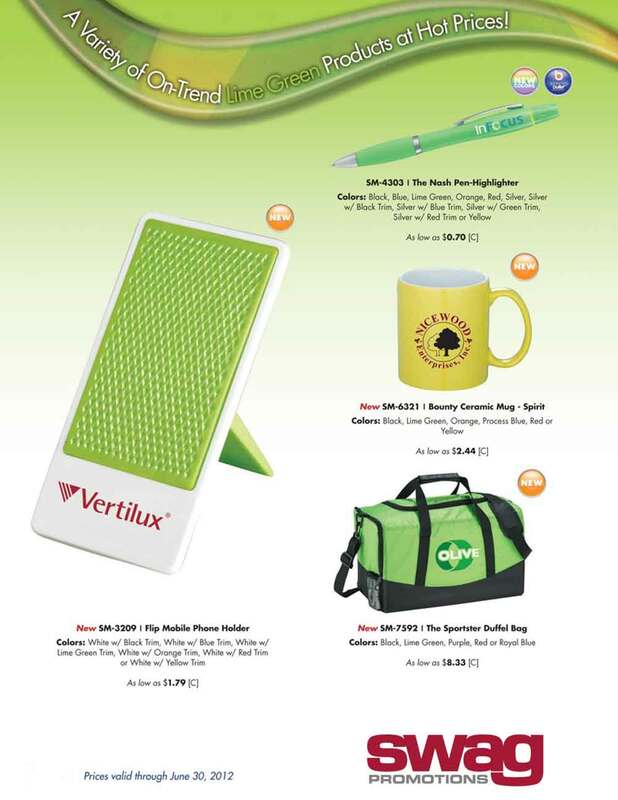 Check out some of these products offered in bright green colors – one of the hot colors this season. Click here to inquire about any of these specials.